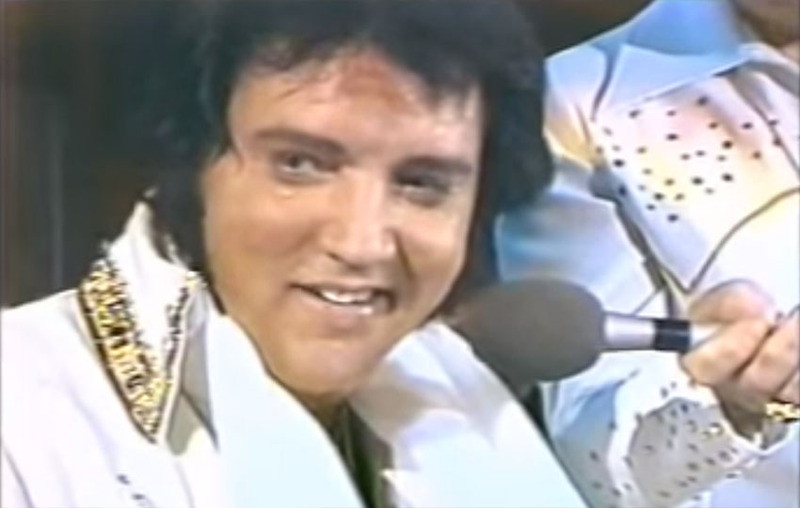 Elvis' Final Performance Was Rarely Seen Until Now: Listen To The Chilling Performance! Regardless of whether you are a Rock'n'Roll fan, you can not deny that Elvis Presley was one of the most talented music performers to ever grace the planet. This is also witnessed by a rarely seen video clip from 1977, in which he sang classic favorite with such intensity and passion that many people believe that this was the best performance in his life. As he sits behind the piano, Elvis belts out a hauntingly beautiful rendition of the song "Unchained Melody" in Rapid City, South Dakota. But this is not just one of his best performances, but also his latest performance ever recorded on camera - King of Rock'n'Roll died of a heart attack just 6 weeks later at the age of 42. Even if you are not a big fan of Elvis' music, this performance is without a doubt worth seeing. A wonderful song, combined with the passion of Presley, creates an unforgettable experience that will take over you too. Get ready for goosebumps and listen to the last performance of Elvis Presley, one of the most breathtaking!